Want to know the best tips for exploring the beautiful Greek island of Kefalonia? There’s no better way to find out than to ask the locals. Anna is the local blogger and mastermind behind the travel site Kefalonia By Anna. She moved to Kefalonia with her 7-year-old son when he was just 45 days old! Before that, she studied Electronic Media and Film Studies and for more than 15 years worked in the production of big cultural events and festivals in London and Athens. Fed up with living in a big city, she moved with her son to Agia Efimia, a beautiful little port at the heart of Kefalonia and for the last 6 years has been involved in tourism. She spends her free time enjoying nature and recording with her camera the beauty of Kefalonia. Read on to discover a unique island of underwater caves, wild horses, moonlight and traditional folksong. Where do you live? I live in a small traditional coastal village on Kefalonia called Agia Efimia, located in the Pylaros Valley. It’s a charming place with amazing sun and moon rises, with a little lively harbour, small pebble beaches and a wonderful close-knit community. What inspired you to start a blog about it? 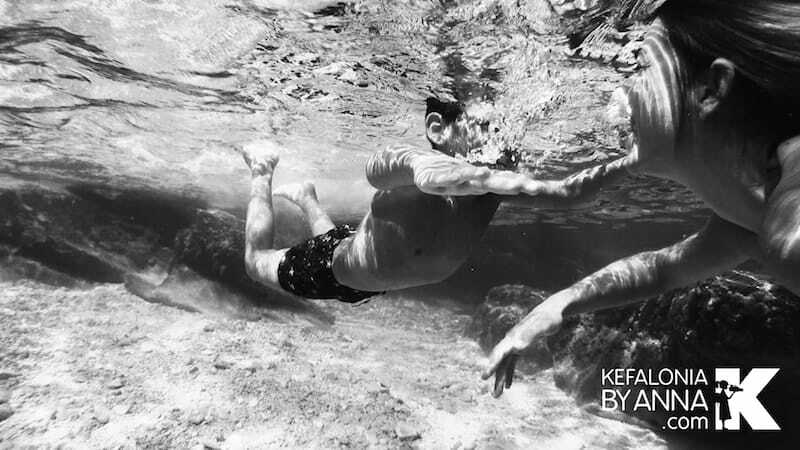 My site grew up out of my love of Kefalonia and photography. I decided to make my site to share my excitement, personal choices, photos and videos with others! What’s the focus of your blog and/or business? Why should readers visit your site and what will they find there? Visitors can find a huge amount of information on my site ranging from practical advice (such as how to get here and travel around, the best beaches to visit, activities and things to do for families, groups and solo travelers. Best places to eat and a lot of accommodation options to be booked in the best prices direct with the owners. In my blog one can find articles of personal experiences with the locals and their traditions. I update the site every week with stories, insider information and things that I love about this island! 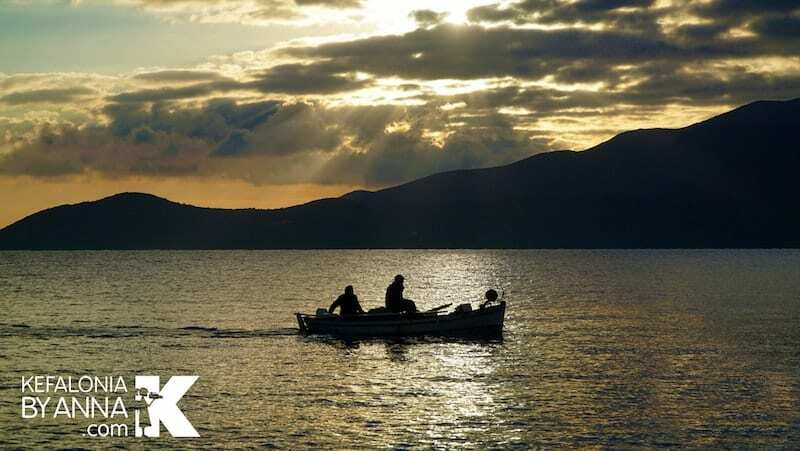 What do you love about Kefalonia? What makes it unique? Kefalonia has a very varied landscape and its combination of sea and mountain result in breathtaking beaches and wild unspoiled expanses. We are also lucky enough to have some unique geological phenomena resulting in an amazing system of caves to explore – both underwater and on foot. What’s the best way to get under the skin of Kefalonia? Participate in local festivals and events. Some are religious, others cultural, some modern and some traditional, others celebrate food and wine. You are welcome and encouraged to participate in all of them. 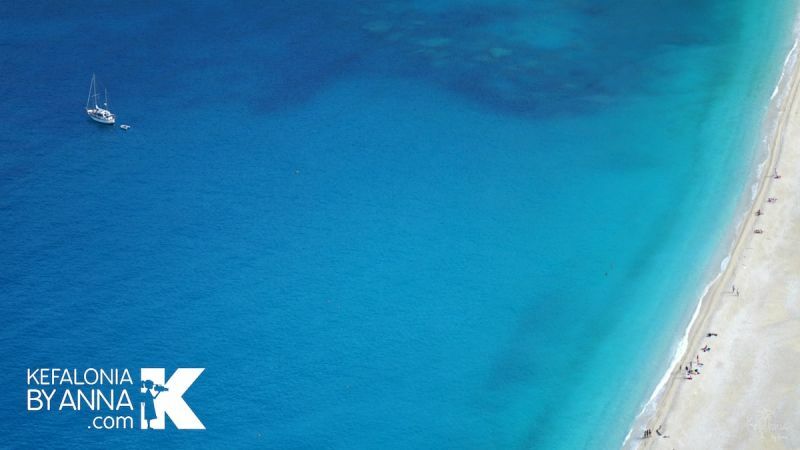 Mingle with the locals, feel, dance, experience, eat and smell Kefalonia Island like a local. Kefalonia has a fabulous network of hiking trails (from easy to advanced) providing an alternative way to discover the island and its nature. You can use them to explore historical sites, such as our castles, water mills and monasteries, traditional villages, rugged coastal areas, and of course Mount Ainos National Park. The best view of Kefalonia is from . . . 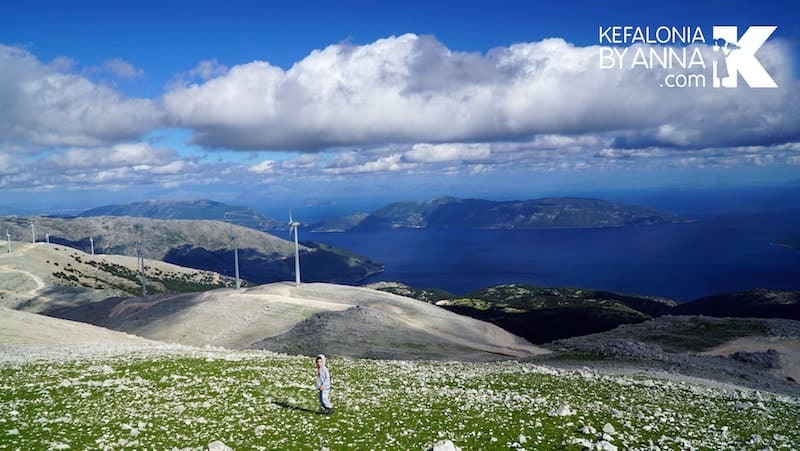 The very top of Mount Ainos the birds-eye views of the island – and of Zakynthos – are spectacular! You can even see wild horses if you are lucky. Kefalonia sounds like . . . The soothing calm or crashing of waves, or tunes from a mandolin accompanying the traditional songs called kantades. You can hear singing almost everywhere on Kefalonia from the inside of churches, to the early morning fishing boats, from the homes of the locals to the tavernas in the evening. The best things to eat in Kefalonia are . . . Traditional Kefalonian cod pie, made with home-made filo pastry, rice and fresh herbs with a side order of locally collected greens called horta, or even better served with aliada (a garlic dip that accompanies fish dishes). The best thing to drink in Kefalonia is . . .
Our famous Robola wine, found on almost every table on the island! Other varieties of locally produced wine are also delicious. The best thing to have for breakfast in Kefalonia is . . .
Fresh bread, baked in a traditional wood-fired oven, with local feta cheese, Kefalonian olives and local eggs. Or, if you have a sweet tooth, try the locally produced thyme honey with fresh local butter. The perfect place to watch the sunset in Kefalonia is . . .
From the dramatic cliff-top monastery of Kipoyria, or the rugged beauty of Petani or Myrtos beach with their turquoise waters reflecting the sun. 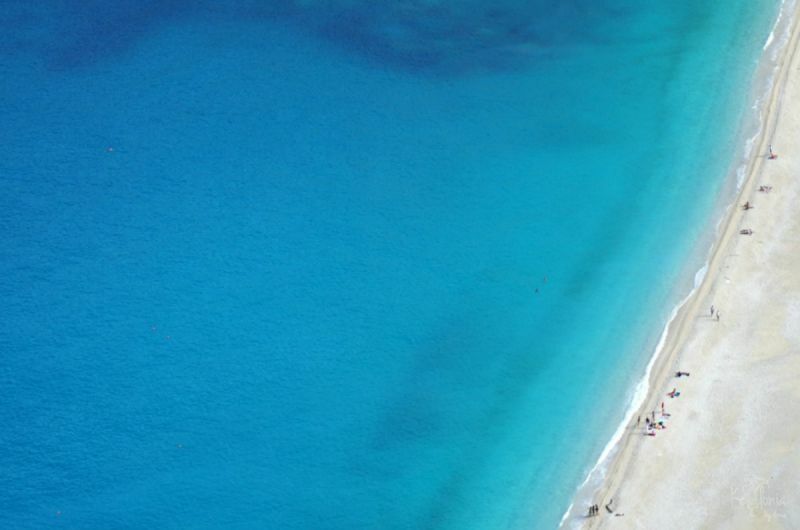 The best time of year to visit Kefalonia is . . .
June and September are great times to visit. Both months are less busy, but everything is open, and we have great weather for swimming, hiking and relaxing. In June many wild and cultivated flowers are in bloom, and they re-emerge again in September after the heat of summer dies down. I would like to make everybody aware of the exploration of oil that has started in the area of the Ionian Sea, and of the impact it could have on our region. We should fight against it to protect our environment, ourselves and our unique nature. Thanks to Anna for sharing her side of Kefalonia. I highly recommend checking out Kefalonia by Anna for more tips, itineraries and beautiful photos. She has some excellent free downloadable PDF guides up there, and if you’re interested in delving deeper into the island and its people she can arrange tailor-made experiences too. Don’t forget to check her out on Facebook, Twitter and Youtube.